If this is a brand new site, please begin with the Quick Start Guide. 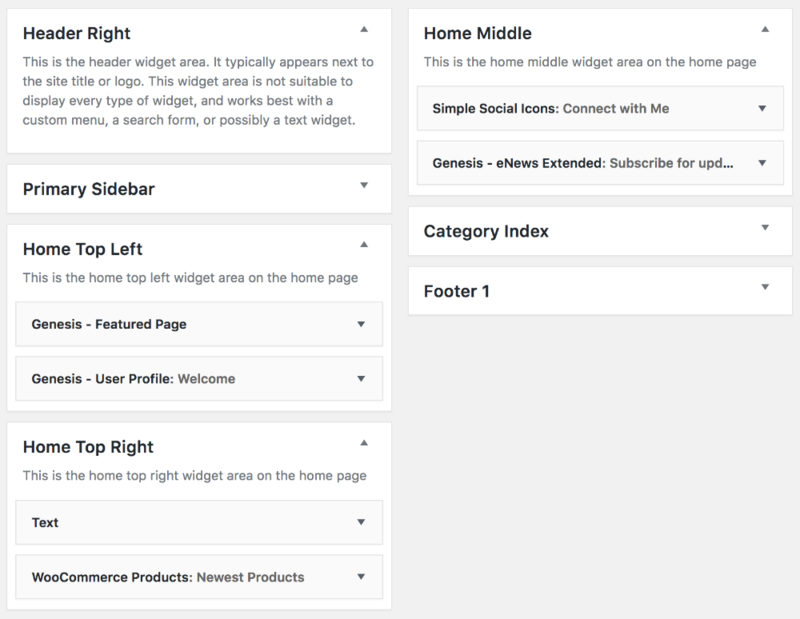 You’ll add a Genesis Responsive Slider widget to the top of your Home Top Right widget area. Configure like the screenshot here. Below the slider, you can add your Latest Blog Posts or your Featured Products. This theme uses the Simple Social Icons plugin, which can be obtained here or by searching in Dashboard>Plugins>Add New. This theme also uses the Genesis Enews Extended plugin, which can be obtained here or by searching in Dashboard>Plugins>Add New. Once installed and activated, you can follow this full tutorial!